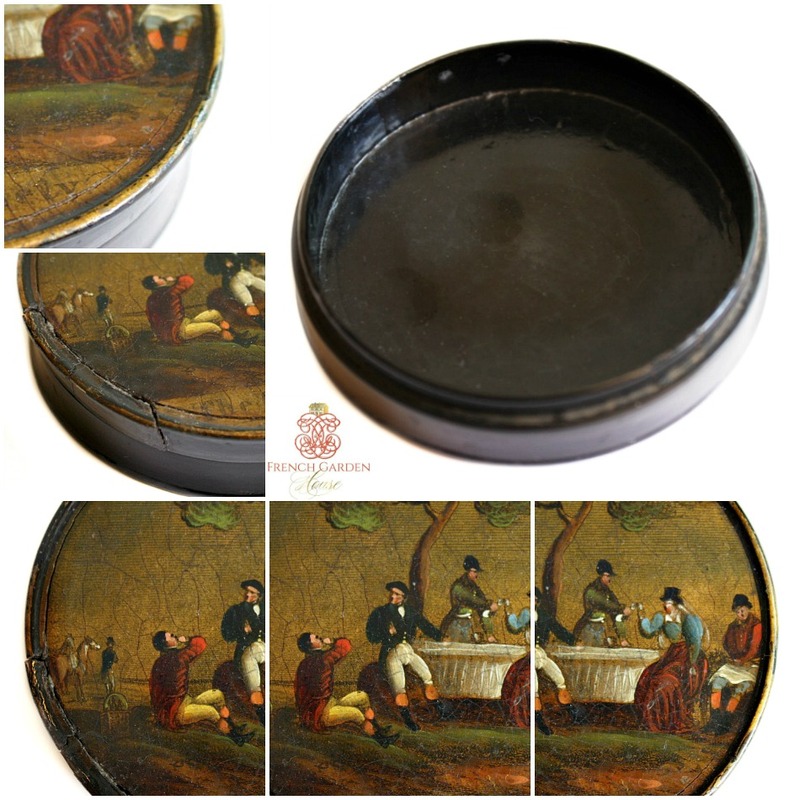 18th or very early 19th Century Snuff or Patch Box with its exterior entirely hand decorated in the manner of Vernis Martin, varnish layering with paint, the favorite of French Queen Marie-Antoinette. 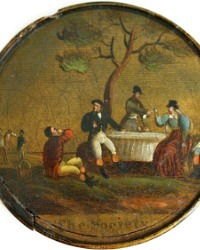 The scene is a convivial scene of country gentry enjoying a drink during the hunt. 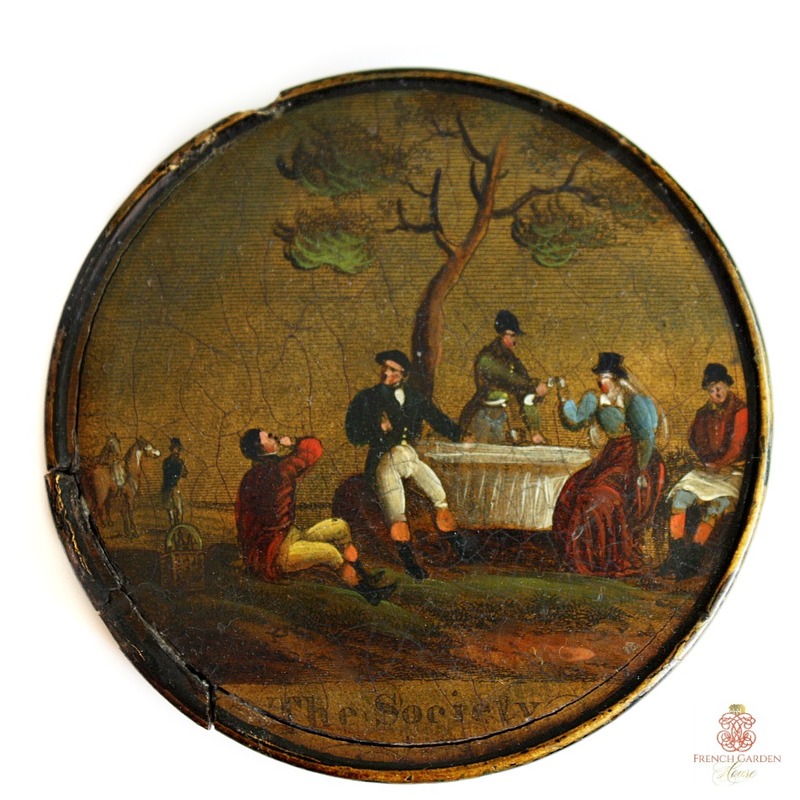 Fantastic hand painting portrays four men and a lady having a drink in the country side, two horses are held by a groom in the distance. Entirely hand painted and in remarkably fine condition for something of this age. A precious little work of art! Not in perfect condition, the lid has been repaired long ago, I have left this as found. 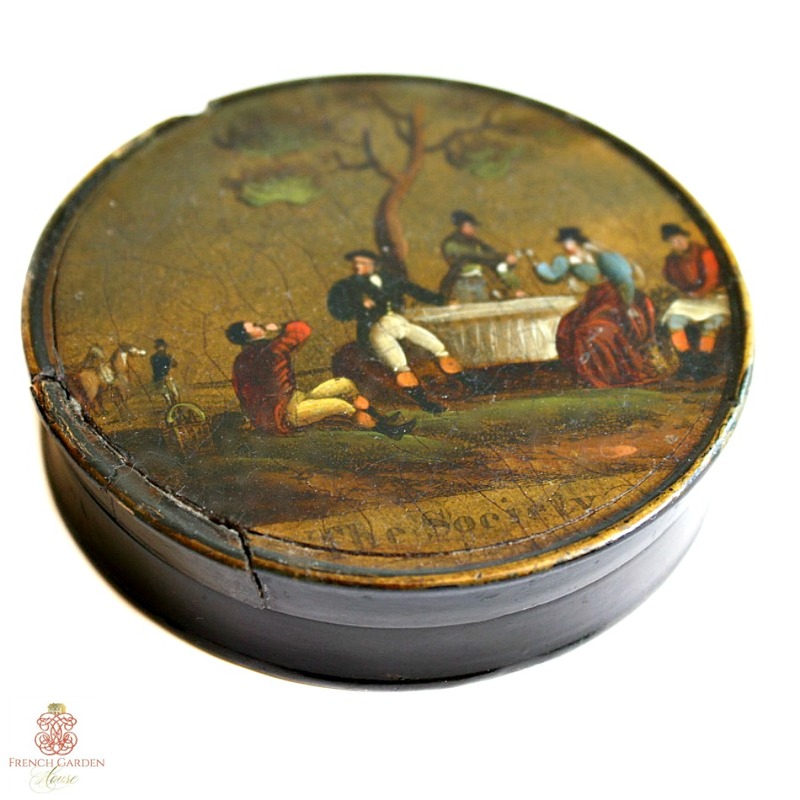 A stunning addition to your collection of antique French, English and German painted wood and papier mache snuff boxes, decorative and will display beautifully with your other objets 'd art on a desk, in a vitrine or with other wood boxes from the 1800's such as those by Stobwasser.